I would welcome more information on this. 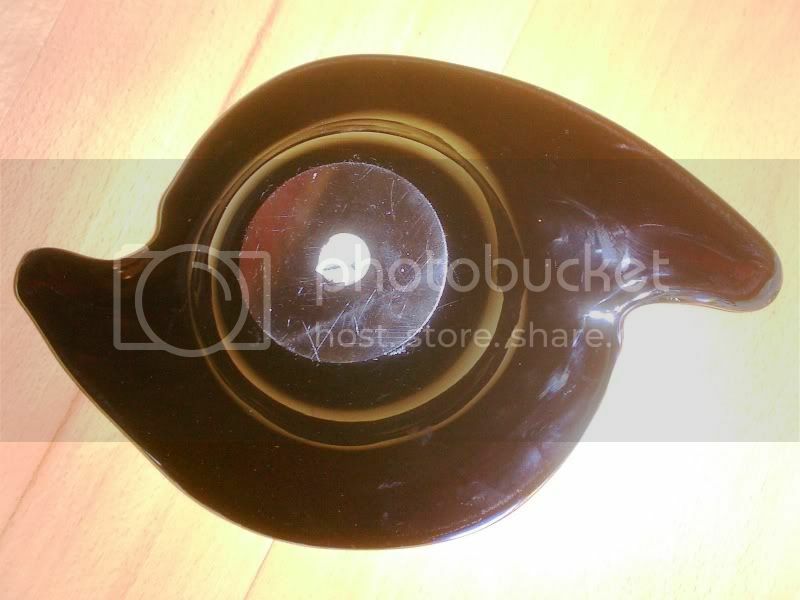 I think it is an ashtray. 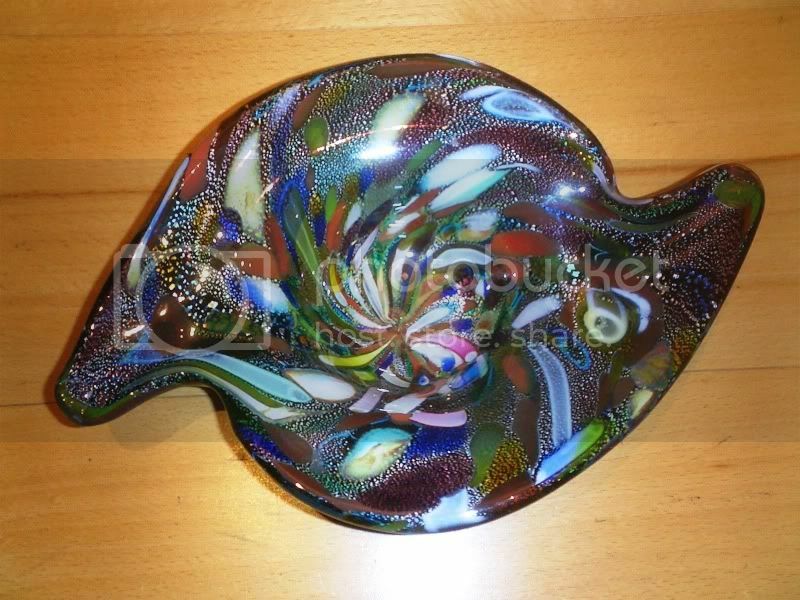 Generic Murano, I think, but wait for a comment from Anita. Often seen on ebay as AVEM Dino Martens but i would ignore the Dino Martens bit , not even 100% sure on AVEM CMON Anita . Fairly common. Not AVeM in my opinion. Is that the remains of a circular label? Blue and silver? The label is certainly blue and possibly silver, I cannot remember the second colour. I was thinking possibly Fratelli Toso..
Maybe anita can confirm for you. If you can see a comparison with your bowl. The writing is silver and what's left of the label is as the Fratelli Toso one on the website kane_u_pain posted. Hi, guys. My phone and internet connection (DSL) have been down. I have a weak signal at the moment, probably a neighbor, so I'll try to squeeze a message through. Fratelli Toso judging from the shape and the label and what was already said. AT&T won't be out until Friday. Can you believe five days without a land line and DSL. I am glad I have a cell phone. Page created in 0.733 seconds with 27 queries.